This ivory pearl necklace is part of the Artique Boutique Bridal collection. It's perfect for wedding jewellery, whether that be as a bridal bracelet, a bridesmaid bracelet, a wedding gift, or if you are simply attending as a wedding guest. Alternatively, this simple necklace can be worn everyday for a touch of classic elegance. 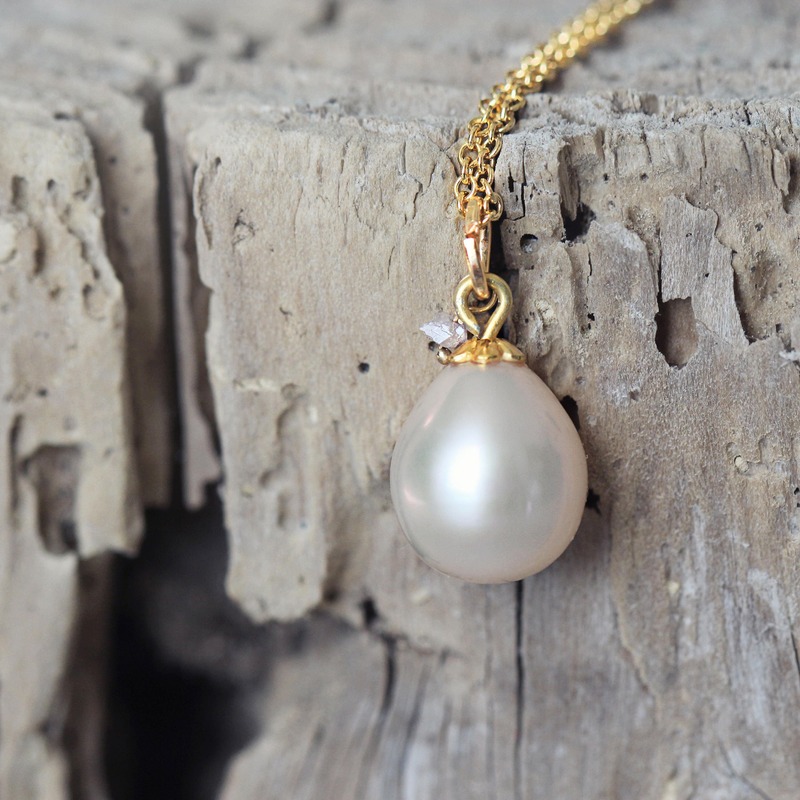 Featuring a very high quality, sumptuous ivory pearl in a teardrop shape with a single rough, silvery, diamond hanging from a 14k gold fill chain in your choice of length. 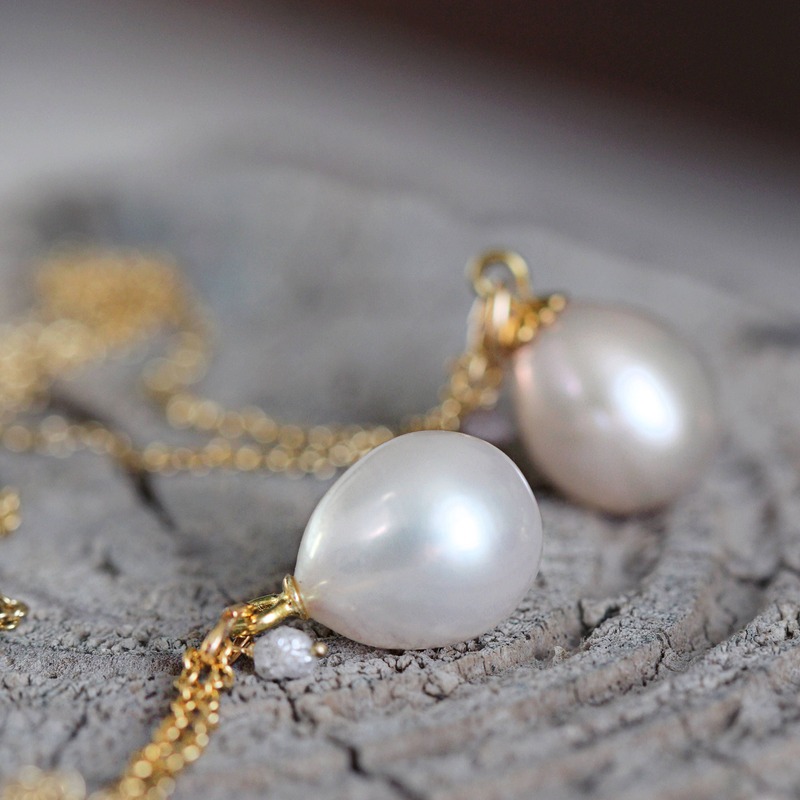 The beautiful teardrop pearl and rough diamond make for easy elegance, classic femininity and a touch of luxury. This necklace really is the epitome of simple, elegant style. 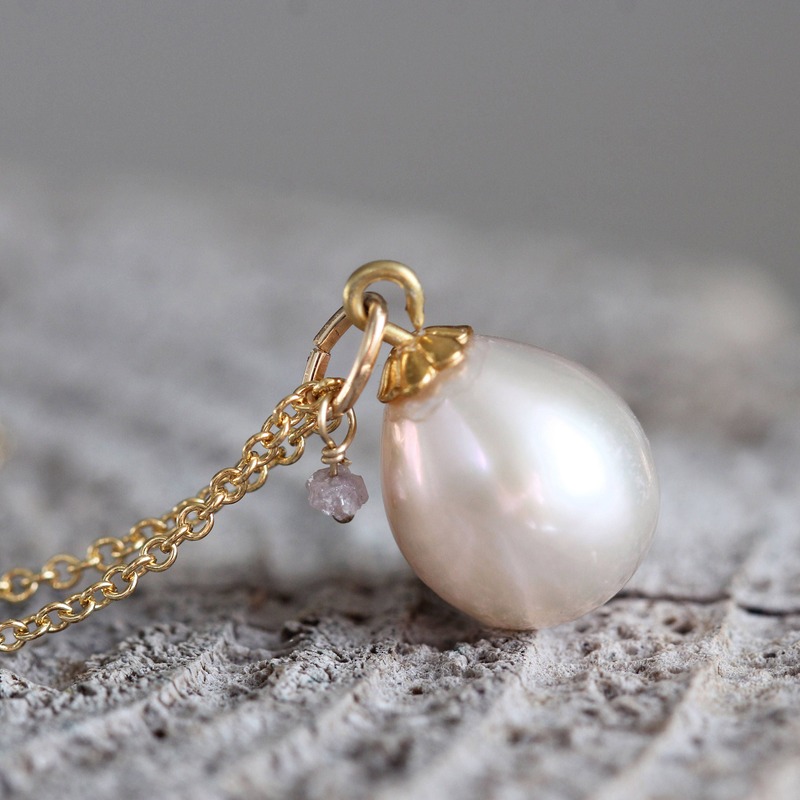 Perfect for a wedding necklace for the bride or bridesmaids. Also makes a gorgeous gift for a loved one, or splendid treat for yourself. 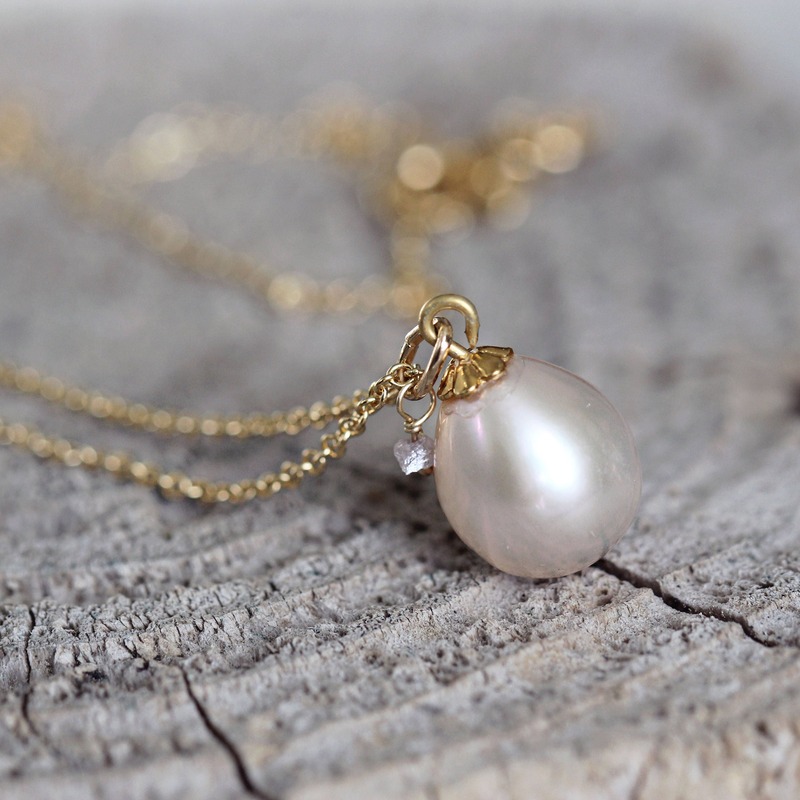 Pearls, the birthstone for June, were once thought to be the tears of gods and goddesses in ancient lore! The real magic of pearls, though, is that they are wonderful reminders of nature, and of the potential to grow through extreme pressure and 'agitation' into something beautiful and full of value, just as the tiny pearl does within it's shell!